Facebook has always played a supporting role in the marketing portfolio of real estate professionals: historically, agents have been twice as likely to advertise on a listing portal than on social media. For its part, Facebook has never built features that cater directly to real estate consumers and professionals. Earlier this year, that changed—signaling a shift in strategy with major implications for real estate portals. A month ago, Facebook announced a major update to the “Property Rentals” section on Facebook Marketplace, launching a new front-end that allows mobile users to search for rentals using a variety of new filters: rental type, location, number of bedrooms, pet friendliness and more. Paired with this product update are new partnerships with Zumper and Apartment List—two of the most prominent online rental platforms, which collectively receive millions of unique visitors a month—which will directly syndicate “hundreds of thousands” of rental listings to Facebook. This is the second major step that Facebook has taken into residential real estate in three months. September saw the launch of Dynamic Ads for Real Estate, which lets brokerages and real estate websites promote live listings to Facebook users. What do these features reveal about Facebook’s real estate strategy, and what does Facebook’s growing interest in real estate mean for portals? In this article, we’ll take a closer look at Facebook’s recent moves into residential real estate, assess its motivations and forward-looking roadmap, and discuss the implications for existing players, especially real estate portals. Facebook cemented its status as an important marketing channel for rental managers and real estate agents well before the launch of Property Rentals and Dynamic Ads. On the rental front, Facebook has long hosted groups like Gypsy Housing, home to local classified posts from individuals and small-time landlords renting their property and rental seekers seeking the perfect match. Individual landlords have been able to post listings to Facebook Marketplace since the product’s launch last fall. But rudimentary search and lack of quality inventory has stopped rentals from really taking off on Marketplace. Though we don’t have precise data from Facebook, this qualitative observation is reinforced by the continued growth of informal housing groups. On the sale front, real estate agents have used Facebook to build local awareness of their services or conduct targeted promotion of their listings, taking advantage of relatively slim competition to generate strong ROI. When Inman News surveyed agents on their use of Facebook this past September, one agent noted that she once spent $750 on a listing ad that generated six contracts and “hundreds” of leads. Another agent reports that his average cost per lead from Facebook is around $5, comparing favorably to an average of $100 per lead from Zillow—although that cost per lead has jumped sixfold over the past three years as more agents bid for ad inventory. In general, Facebook has delivered high ROI to agents, but only for those willing to manually upload listings, optimize ad creative and nurture leads over a longer time horizon. The revamped Property Rentals section and Dynamic Ads for Real Estate seem like simple optimizations at first blush, but their impact will be substantial. On the rental front, the product refresh and accompanying listing partnerships are game changers. Syndicating listings from established rental sites—and improving the user experience for renters—will make rental search far more useful on Facebook, attracting users who will ultimately incentivize more landlords to post inventory directly to Facebook. Facebook isn’t settling for feature parity with powerful incumbents like Craigslist, encouraging landlords to post 360° photos to provide a better sense for what a listing is like. Facebook is smart to focus on rentals, which are an ideal entry point into residential real estate because competition is fragmented: there is no MLS or single source of truth for rental inventory. By supercharging its network effect through listing syndication and user-side tweaks, Facebook has a shot at replacing Craigslist as the most comprehensive database of rental listings in America. On the sale side, the launch of Dynamic Ads for Real Estate makes Facebook a far more powerful tool for real estate agents. Until now, agents could only target broad audiences, capturing leads with less intent than users actively surfing a real estate portal for homes. By allowing brokerages to upload a catalog of live listings and target users based on their past interaction with specific listings, Facebook lets agents market to users who directly demonstrate affinity for their homes for sale, which should improve lead quality and ROI. What do these new features have in common? Both incentivize suppliers of real estate inventory—property managers and landlords on the rental side, agents and brokers on the sale side—to upload more listings to Facebook. The fundamental competency of an advertising platform is surfacing the right product or service (in our case, inventory) to the right consumer at the right time (in our case, transactional intent): in other words, identifying a consumer’s need and offering a relevant solution. With more than two billion users between its various products, Facebook is one of the few platforms that already has the right consumer in its grasp—and its real estate strategy targets the other pieces of the equation. Listing inventory is the bedrock of Facebook’s strategy to capture market share in real estate ad spend. Even if Facebook had perfect knowledge of a consumer’s intent to rent or buy a home, it can only monetize that intent if it has a “product”—a listing—to display. Accumulating a greater volume and variety of real estate inventory has another major benefit: by giving consumers more opportunities to interact with real estate, Facebook learns more about their preferences and intent, which enables more effective targeting. For example, Dynamic Ads for Real Estate already helps agents automatically target consumers who have visited their websites and browsed their listings. But a strong rental platform allows Facebook to add another powerful targeting tool to the mix, letting them advertise to folks searching for rentals with demographic characteristics that also make them likely buyers. The more precise targeting options available to agents, the stronger a case Facebook can make to brokers that they should syndicate listings directly to Facebook. This is when things get interesting: if enough agents use Facebook real estate ads in a given market, we can even imagine progressive MLS boards—who have been eager for more leverage against the portals—syndicating listings directly to Facebook. This presents the billion dollar question: will Facebook attempt to compete directly with real estate portals? We don’t believe Facebook wants to launch map-based real estate search, or turn the Marketplace into a fee-generating product for rental and sale listings. In the short run, Facebook is laser focused on improving its advertising product for real estate professionals and capturing a higher proportion of ad spend from portals. Things could get worse for portals in the long run. We discuss this in greater detail below, but as Facebook accumulates more inventory and learns how to precisely mate those listings to consumer needs, it may be able to leapfrog map-based search entirely by using natural language queries from the homebuyer and precise algorithms to match users with the perfect home for them. This won’t happen for years, but inventory would make it possible—and as we’ll discuss below, cultivating and protecting proprietary inventory is one way that portals can fight back. The primary impact of Facebook’s move, in the short- to medium-term, will be increased competition for premium ad dollars from real estate agents. In the U.S., 70 percent of Zillow’s revenue comes from real estate agents, and the trend extends to each major international market. Facebook’s entry into real estate advertising represents clear and direct competition for this premium spend. Real estate agents will have another top-tier platform to spend money on to generate additional branding for themselves, generate leads, or promote the homes they are selling. Premium spend usually has no upper limit; agents can spend as much as they want to promote themselves or their listings. Facebook launched its Dynamic Ads for Real Estate product last August. Two months later, Zillow announced a partnership with Facebook and “Premier Agent Direct,” an advertising product that pushes ads directly to Facebook. Zillow’s reaction is straight-forward: the move gives it a seat at the table. With Facebook’s potential competition in the space, Zillow has decided the best way to stay relevant is to embrace the new Facebook advertising product and offer it to its existing customers. At the time, Zillow said it “wasn’t just buying ads and reselling them.” In reality, that’s exactly what it’s doing, but with the benefit of using Zillow’s user data to improve relevance and targeting. Zillow has assumed the role of a middle man. Agents can go directly to Facebook to spend their ad dollars, or they can continue spending with Zillow and get exposure on Facebook. It’s a win-win where Zillow stays relevant, Facebook generates ad revenue, and agents maximise their exposure across multiple channels. Each option has its own benefits. Buying ads directly from Facebook gives agents more control and highlights their brand, compared to a co-branded experience through Zillow. The first strategic pivot revolves around the user experience, pitting search vs. match. The current consumer experience on real estate portals is focused around searching and browsing. Visitors scan a map, enter search criteria, or browse through featured listings. It’s the equivalent of flipping through a glossy magazine or scanning the pages of a newspaper classified section. The very nature of the Facebook product lends itself to matching experience. Real estate listings will be targeted to consumers based on what Facebook knows about them (in the same way it already targets advertising). This targeting is among the most sophisticated in the business given the amount of information Facebook knows about its users. The majority of Facebook users won’t be searching for real estate; they will see real estate presented to them. The second key strategic pivot is all-of-market vs. some-of-market. Real estate portals maintain their reputation as the best place to find a home because they have all of the inventory available in the market. When a consumer is searching for a new home, they want to look where all of the properties for sale are available. Facebook’s marketplace strategy, on the other hand, is not predicated on having all of the available real estate listings. At least for the foreseeable future, the listings available will be those uploaded by its advertising clients. So while the consumer experience on Facebook will target and match listings directly to visitors, it won’t represent the entire market of possible houses for sale. This leaves a competitive opening for real estate portals. As long as the portals have a greater inventory than Facebook (which we believe will be true in the medium-term), their benefit to consumers is clear. Do you want access to all of the market or only some of the market? Facebook represents a clear and present danger for real estate portals around the world. It’s here, it’s growing, and it’s coming to eat your lunch. Focus on providing value to agents. Deliver utility throughout the value chain and offer a more complete solution. Agents who get red-carpet treatment, free call center service, and unique online products will be less likely to defect. Ultimately the game is about delivering ROI, so push hard to deliver more value to your customers. Act local and leverage your sales team. Real estate is national. Real estate portals have the local knowledge, relationships, and brand that are necessary to thrive in the market. By building your local indispensability to the market you compete in an area where Facebook cannot. Sell Facebook’s ad product. Adopting Zillow’s strategy is controversial. Consider that Facebook already has an ad product for real estate agents, it already demonstrates good ROI, and agents are already spending money on the platform. In five years, will that still be the case, or will Facebook simply go away? We’re betting that it’s here to stay, and it will only get bigger, with or without the cooperation of real estate portals. So get on board while you can and leverage your local muscle to sell Facebook’s offering to your customers. Don’t compete on social. If you’re considering how to compete with Facebook through social products, you’re naively barking up the wrong tree. The absolute last thing you should do is compete with Facebook where it is strongest. Facebook’s deeper move into real estate—both in rentals and for sale listings—represents an opportunity for agents and brokerages and a strategic threat to a range of existing businesses. For real estate portals in particular, the first battleground is agent premium spend. Facebook is giving agents a new, powerful choice for where to spend money on leads. This situation poses a dilemma for real estate portals. Do they cooperate with Facebook as “frenemies,” as Zillow has done, or do they work to stifle Facebook’s momentum at all costs? It is our belief that Facebook is here to stay in real estate, and will continue providing a positive ROI to agents looking for leads. In the near term, real estate portals need to take action to cement their position as the best place to advertise properties for sale and for agents to generate leads. The good news, for portals, is that they have a fighting chance. This article was written by Mike DelPrete and Sib Mahapatra. Mike DelPrete is a strategic adviser and global expert in real estate tech. Connect with him on LinkedIn. Sib Mahapatra is an entrepreneur and real estate tech enthusiast based in New York City. You can reach him on LinkedIn. Read more of the extensive research and analysis I've done on the world of real estate tech. Generally, people buy and sell houses the same today as they did 100 years ago. Aside from property portals like Rightmove, Realestate.com.au and Zillow, the industry hasn’t meaningfully shifted online. Real estate agents are front and center in the transaction, and the bulk of the process still occurs offline. When I bought a house a few years ago in New Zealand, I used a real estate agent (I didn’t have a choice in the matter). The only way to negotiate with the sellers on price was to have the agent drive across town to my apartment with a contract, cross out the selling price with my counter-offer, and then have him drive to the sellers. This happened multiple times in a process designed to reinforce the central role of the agent. Did I mention it was 10 p.m.? Sound familiar? The residential real estate industry is huge, and buying or selling a home is likely the biggest transaction people will make in their lifetime. So why does it feel so old? Why do we still transact properties the same way our grandparents did, with agents so dominant? Real estate technology (also called PropTech in the U.K.) is an extremely active space with hundreds of companies around the world vying to change the industry. New models are launching on a regular basis, and investment in the space is growing. Coming from an entrepreneurial and then corporate M&A background, I know what a successful business looks like. After founding my own gaming tech firm and selling it, I served as head of strategy at New Zealand’s leading classifieds and marketplace portal, Trade Me, for four years. I left that position in early 2016. From these experiences, I know that a good real estate tech company is more than fancy technology; it’s about a great product-market fit powered by a business model that works. So I set out to find out which new models were getting traction, globally. There’s a lot going on in the real estate tech space. For this article, I’ve focused on one specific segment: new models changing how people buy and sell houses. I’m not covering the various tech innovations occurring in commercial real estate, rentals, tools for agents or the myriad other areas changing real estate. Let’s set the scene. The vast majority of houses are bought and sold using real estate agents. In the U.S. and Canada, about 90 percent of transactions involve an agent, with the remainder as private sales (for sale by owner aka FSBO). The percentage of transactions involving an agent is even higher in the U.K., Australia and New Zealand. In this article, I look at three new real estate models gaining market traction: fixed-fee operators, for-sale-by-owner services and disruptive players. I looked for strong product-market fit and business model viability. I’m looking for businesses and business models that can materially change the way people buy and sell houses in a sustainable way, while making money. In other words, a good business. These businesses operate under a simple premise: they offer their services for a fixed fee, as opposed to a typical real estate agent’s commission. The average commissions charged by an agent vary from around 1.4 percent in the U.K., 2 percent in Australia, 2.8 percent in New Zealand to 5-6 percent in the U.S.. Fixed-fee operators will typically save homesellers thousands of dollars. The business model is straightforward. For a simple fee (typically paid upfront), the firm will list a house for sale. Advertising for properties is almost entirely done online via the major property portals. They also typically provide a yard sign. Given that a greater percentage of homebuyers now find the home they purchase from the web than from any other source, according to the 2016 National Association of Realtors profile of homebuyers and sellers, it’s logical the majority of advertising dollars shift online. These businesses aim to offer at least the same level of service as a traditional real estate agency, and in many cases exceed it by providing services like online dashboards and 24/7 support. The chart below shows average customer savings by using fixed-fee models. All numbers are in local currencies, and the calculations are based on average home sale prices and agent commission rates, excluding any additional marketing costs. 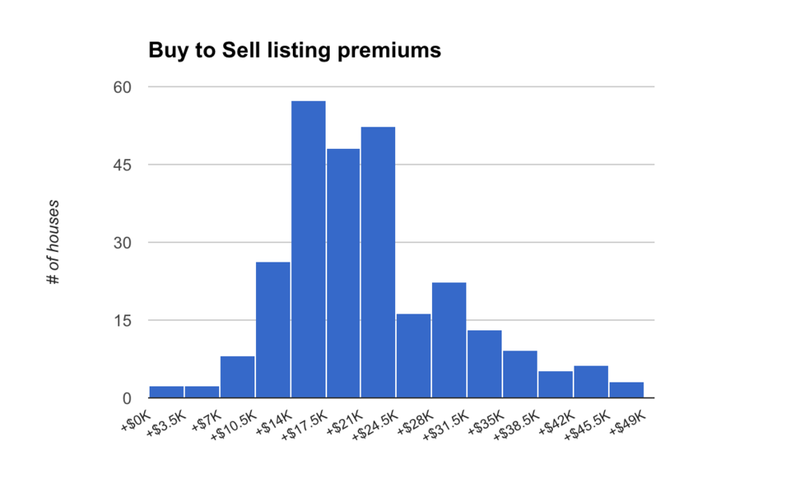 Aside from Purplebricks in Australia (which is an interesting outlier), the fixed-fee operators usually have a price point that saves consumers between $2,200 and $3,000. This model is getting the most traction in the U.K., where it accounts for approximately 6 percent of the market. A half-dozen major players compete in the U.K., the leader being Purplebricks (who expanded into Australia in August 2016). Purplebricks was not the first to market when it launched in 2014, but it’s taken off like a rocket; it went public in December of 2015 and now has a market capitalization of £1.25 billion. Purplebricks employ “Local Property Experts” -- essentially contractors paid when they secure a listing. It’s a similar model to Uber in the sense that the holding company doesn’t employ any agents directly, but pays them for completing jobs. The consumer pays a fee of £849 upfront, no matter if the property sells or not. Purplebricks is the clear U.K. leader because of its marketing machine. It has raised a lot of money and spent almost all of it on marketing (to the tune of £1 million per month). One of its model’s biggest challenges is the uncertainty around the unit economics, and if, when and how it will turn from negative to positive. Right now attracting each customer costs Purplebricks more than the £849 fee it collects from them. The other issue involves how the firm pays its Local Property Experts, Purplebricks contractors who secure listings. Currently, their compensation is based on getting a listing, not on selling a property. 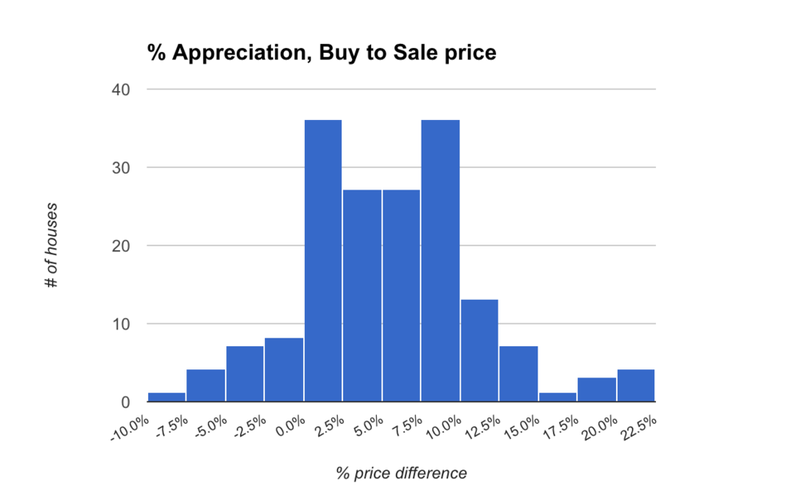 This incentivizes them to bring in more listings and more fees, which is good for Purplebrick’s growth story to investors, but marks a disconnect with home sellers (who, of course, simply want their homes sold). Achieving scale is the key to this model’s success. Right now the firm spends money for market share, which makes sense given the stage of the business and the wider market in the U.K. Over time, customer acquisition costs should decrease, and Purplebricks will need to raise its fees to become profitable. Conceptually, the idea of Local Property Experts operating as contractors looks good on paper (and investment presentations), but it results in a massive incentive misalignment and churn risk. All customer interaction is through an individual outside of the company’s direct control, who can effectively come and go as they please, with variable service levels. This might work with low-cost, high-frequency transactions like car rides, but for a home sale it presents its challenges. The best operating models I’ve seen have fully employed their sales force, with all of the resultant benefits and costs. At the end of the day it’s a better customer experience and I’d back that business 10 times out of 10. The for sale by owner (or FSBO for short) proposition is simple: save on commissions by selling your home without an agent. These sellers take advantage of the ubiquitous nature of property portals in their markets to advertise their property, and are willing to do everything else (open homes, negotiation, project management, paperwork, etc.) themselves. It’s a non-trivial job, but some are up for the challenge. FSBO rates vary across mature markets, but rarely account for more than 10 percent of homes sold in any year. Rates for the U.S., Canada and New Zealand hover between 8 and 10 percent, while the U.K. and Australia rates are in the low single-digits. The leader in this field, and who I consider to be the most successful real estate company nobody has ever heard of, is the Canadian firm ComFree. Founded in 1997, it offers to sell homes for a fee of between $600 and $1,000 Canadian, paid up front. In 2016 it listed over 40,000 properties across Canada with a market share approaching 25 percent in the province of Québec! Its proposition can best be summed up with, “Sell your own home with our help.” It doesn’t just offer a technology solution, but empowers customers with a proven sales roadmap, tools and expertise. For instance, for an extra fee (paid only if the home sells) home sellers can hire its experts to negotiate for them. ForSaleByOwner.com is the largest FBSO website in the US. It provides less overall customer support than ComFree, only supporting the listing process and not getting involved in the actual transaction. Its numbers suggest it facilitated roughly 10,000 sales in the past year. The rest of the FSBO field seems to be dominated by technology startups. Homelister and HomeBay operate in the U.S.; they provide a tech product that steps home sellers through the selling process. As opposed to ComFree, they have a light customer service touch, preferring to empower consumers to own the process. FSBO operators, especially in the U.S., typically suffer from the same fate. Most of their effort is spent developing the technology that facilitates a hands-off process for consumers. 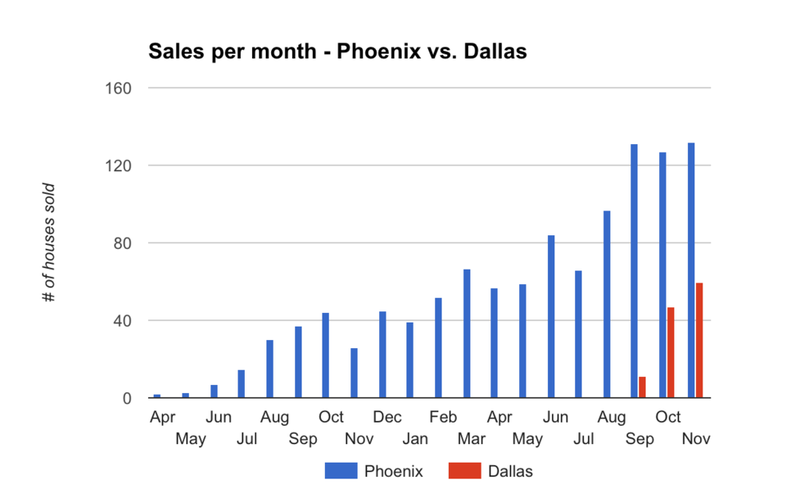 They may get decent traction with early adopters in a local launch at the city or state level, but then traction slows. There’s only a small percentage of sellers who are comfortable selling a house on their own. The FSBO startup can appeal to those ultra cost-conscious and do-it-yourself individuals, but mass market appeal will always, I predict, lie beyond their reach. The key success factor for FSBO companies centers on how much support it provides consumers. The winning formula that I’ve seen is, again, full-time employees with specialised expertise -- just as with fixed-fee operators. ComFree has a staff of 400 employees, making it a technology-enabled business as opposed to a pure technology company. Consumers in mature markets aren’t ready for an app to hold their hand; they still want the comforts of a human voice and human touch. I’m not a fan of the term “disruptive” to describe new players in a market coming at a problem from a different angle. It’s overused in the business world. A clown waking me up at 2 a.m. is disruptive. Is that a good thing? A business should aim to be disruptive and add value. One of the striking observations about the residential real estate space is how few innovative businesses there are. Most real estate companies offer incremental improvements to the existing process, not a revolutionary way to do business. If you map the path from consumers wanting to sell their house to actually selling it, these firms primarily focus on optimizing the process or bringing parts of it online. There’s only a tiny number of truly innovative companies who are remapping and reimagining the entire home selling process. My favorite, and I believe the best example, is Opendoor. Opendoor is a San Francisco-based startup that will buy a seller’s home in a matter of days. Its proposition is ease, simplicity and certainty. The entire process of selling a house is thrown out the door: no agents, no open houses, no tidying up and fixing the fence before listing. It’s also reimagining the entire homebuying process by providing 24/7 open homes, a 30-day money back guarantee, and a two-year warranty. To be clear, this startup has yet to prove itself as a viable business. It’s live in three U.S. markets and has bought around 4,000 homes so far. It’s well-funded and has a great team. But only time will tell if this model resonates with enough consumers to be considered a valuable and disruptive business. 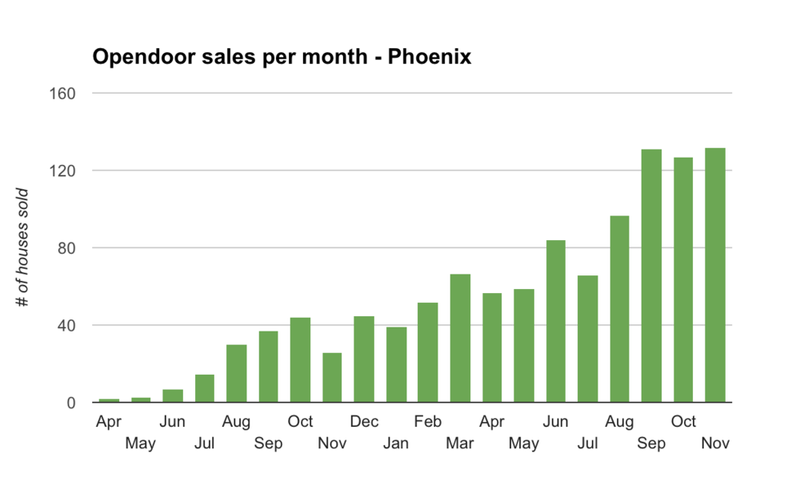 Since Opendoor’s launch and early success, a number of followers have cropped up, each with a slight twist on the model. Knock, in Atlanta, promises to sell homes in six weeks or it will buy it from the seller. 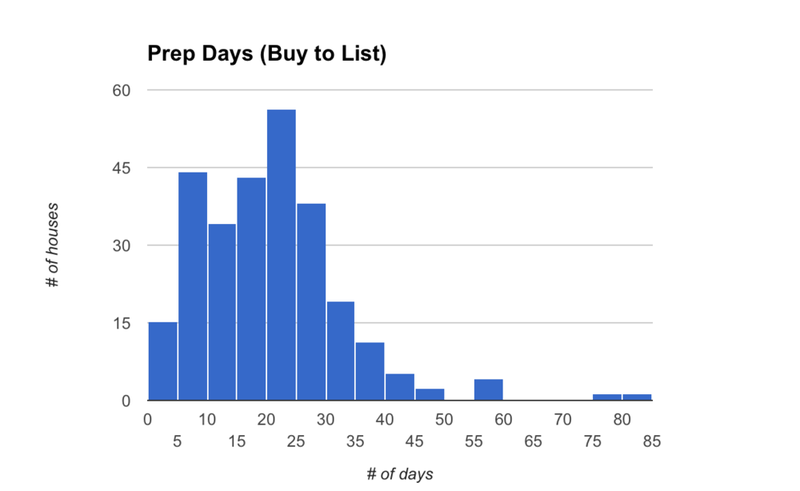 Nested, in the U.K., will sell a home within 90 days or it will buy it from the seller. There’s also OfferPad, Redfin Now, and Zillow’s Instant Offers. Traction proves a product-market fit, but at the end of the day the business must make money and turn a profit to thrive. Call me an old-fashioned M&A guy, but I like my businesses to make money. Let’s take a look at three examples as we explore the money-making potential and viability of these new business models: ComFree, Purplebricks and Opendoor. ComFree reported approximately $40 million in revenues in 2014, making it the largest company by revenue in my market scan. It has roughly 40,000 listings and a staff of 400. Its prices are significantly discounted in new markets it enters in Canada. Even so, the average revenue per customer suggests it is able to successfully upsell premium services (for instance, it offers expert negotiators for an additional fee). Earlier this year, Purplebricks reported full-year revenues of £46.7 million and pre-tax losses of £6 million. At the time, it had 450 local property expert contractors, and its numbers suggest it listed around 41,000 properties in its 2016 fiscal year. Opendoor has claimed it has bought over 4,000 houses and averages a 9 percent commission fee (yes, you read that right: this disruptive player is charging higher fees than agents). That’s a huge potential revenue pool! 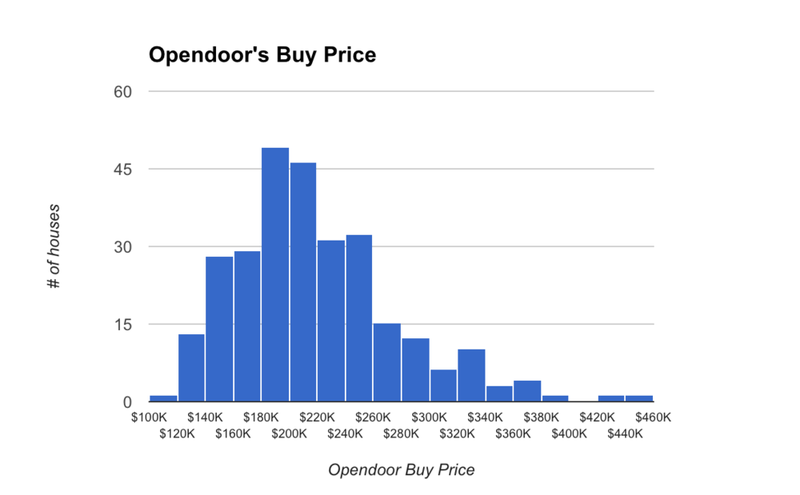 On the above numbers, that’s over $75 million in potential revenues (but on very slim margins), but revenues and profitability are highly variable on eventual selling prices, costs to prepare houses for sale, debt servicing costs and the market risk associated with holding inventory (Check out my detailed analysis of Opendoor's business model, Inside Opendoor: what two years of transactions say about their prospects). So that means the revenue potential is definitely there for Opendoor, but because of its business model design, a few more years must pass before it earns the “money-maker” designation. But it shows promise. While its price point is higher than ComFree ($1,093 vs $643 in US Dollars), Purplebricks’ volumes are lower and the cost of customer acquisition is much, much higher (leading to big losses as it builds audience). Why are customer acquisition costs so much higher for Purplebricks? Because it is relatively new in the market. ComFree has been operating for nearly 20 years in Canada, Purplebricks just two years in the U.K. One would expect (and shareholders would hope) that those costs will significantly drop over time, which is necessary for the company to reach profitability. The most important difference between the U.K. and U.S. markets for these new models is what sellers pay for agent representation (1.4 percent in the U.K. vs. 5.5 percent in the U.S.). That difference means that operators in the U.S. are able to charge higher prices while still saving their customers money, which will make a big difference in revenue-generating potential and eventual profitability. The models getting the most traction are those that smartly combine technology, human support and a killer consumer proposition. ComFree and Purplebricks have hundreds of staff to support their customers, supported by technology, and offer a compelling proposition of better service with lower cost. There’s no one, winning model. All share common ingredients, but a number of different ways exist to achieve success. For sale by owner propositions suffer when they focus too much on technology. The market isn’t ready for an app to sell your house. There’s exciting innovation occurring with the disruptive players, but it’s too early to say if they’ll be disruptive and valuable. But watch this space. These models aren’t going to change the industry overnight, but they do represent the best of the new models gaining traction. The future of real estate is coming -- and it will look a lot like these businesses.